Two Chinese astronauts are on their way to an orbiting laboratory for a monthlong mission aimed at preparing the way for a full-fledged Chinese space station. 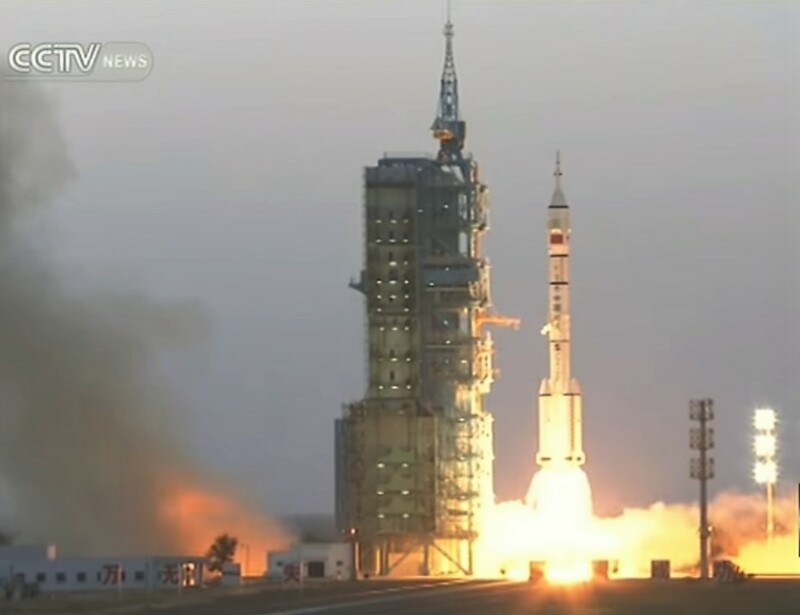 Veteran military pilots Jing Haipeng and Chen Dong lifted off in the Shenzhou 11 spacecraft atop a Long March 2F rocket at China’s Jiuquan Satellite Launch Center in the Gobi Desert at 7:30 a.m. Beijing time Oct. 17 (4:30 p.m. PT Oct. 16). Jing, a veteran of two earlier space missions, is the commander for what’s expected to be the longest-lasting of China’s six crewed spaceflights to date. “It is any astronaut’s dream and pursuit to be able to perform many space missions,” The Associated Press quoted Jing as saying during a pre-launch briefing. Ge the full story on GeekWire. This entry was posted in GeekWire and tagged China, Space. Bookmark the permalink.